We've heard of Fat Cats in politics before, but now the political track of Song of Ice and Fire has its very own. 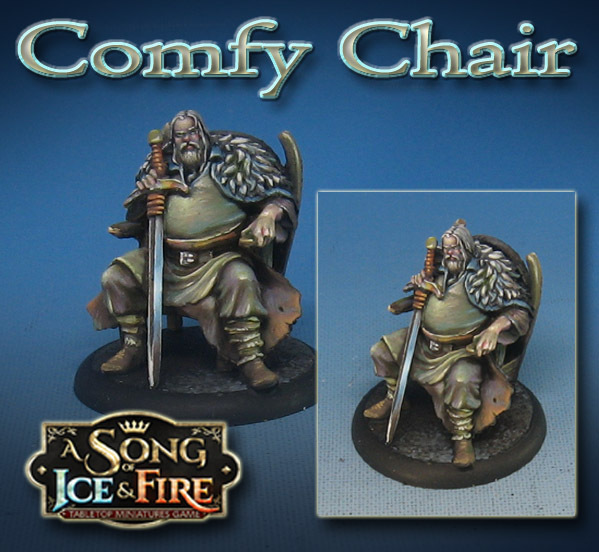 Meet Caster, one of the new figures that is part of the Free Folk Starter box! I had a lot of fun painting this piece, utilizing a number of subtle glazes to get pink and purple in shadow areas of greenish colors, and vice versa. The idea is to keep what is a very sedentary figure looking more interesting than if it were all shaded in the same boring gradients of brown!